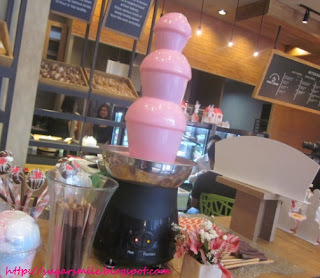 When I entered Tous Les Jours, I felt like Violet in Charlie and the Chocolate Factory. 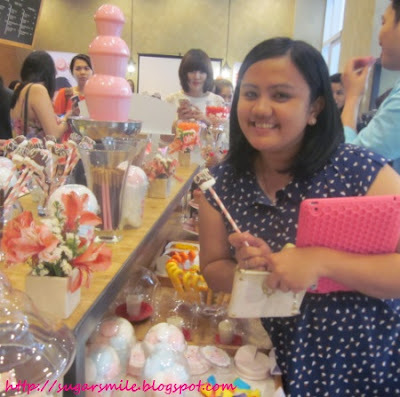 I wanted to try all the candy and sweets there is! 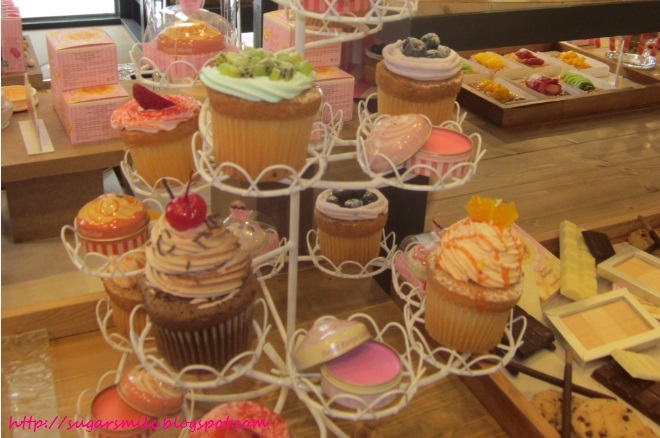 Much more when I saw a petite strawberry fountain that was displayed on top of all the cupcakes and macarons. Before I show you the Sweet Recipe line, I would like to introduce you to Krystal and Sulli, the newest brand ambassadors of Etude House. Members of the famous Korean Pop group f(x), they endorse the Sweet Recipe Collection with the theme "Hansel and Gretel" inspired Gingerbread and Candy House. 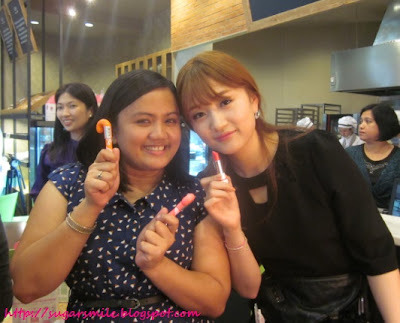 Looking at their awesome products, I just can't help but feel like a princess with their pastel-colored make-up line. 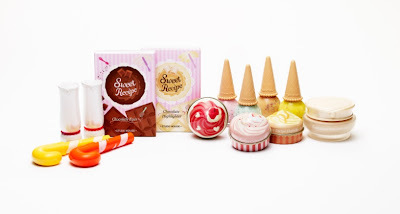 Sweet Recipe Baby Choux Base comes in Mint, Berry and Peach. 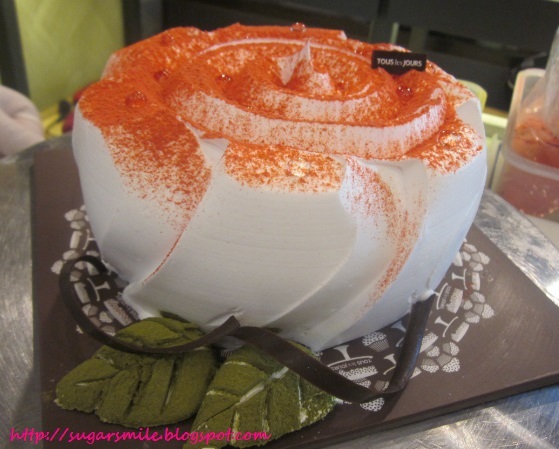 Have you noticed how creamy its texture is? This make-up base will help you achieve a flawlessly soft skin. Now who wouldn't want that? This, I definitely cannot distinguish from the two. 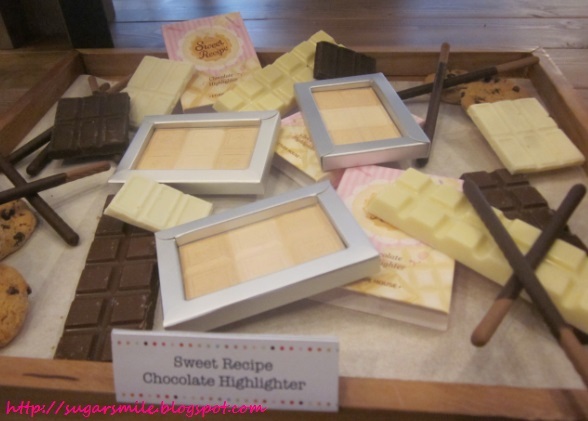 The Sweet Recipe Chocolate Highlighter looks exactly like chocolate bars. Oh and when you smell it, it seems like the real thing. Imagine putting these on and suddenly your boyfriend kisses you and smelled chocolates. Fun! 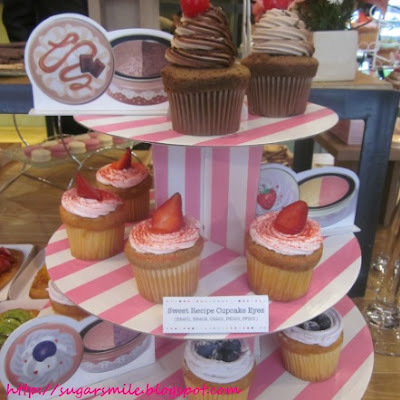 The cupcake all-over color can be used in three ways: an eye shadow base, a lip gloss top coat and a cheek blush. How cool is it that you only need one product and it is long lasting when applied? What I also love about it, is the packaging. 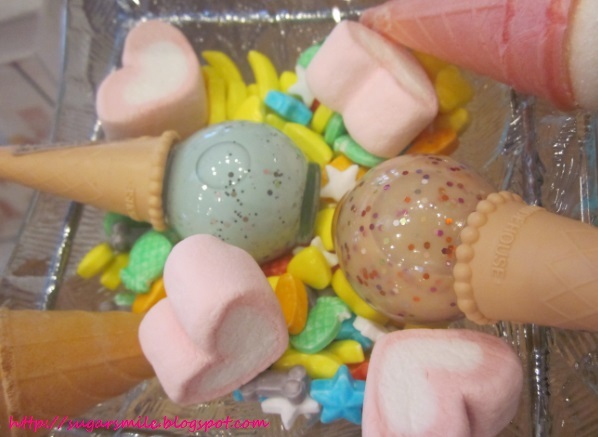 Its mini tin can looks like cupcakes and you can play with its vibrant colors. 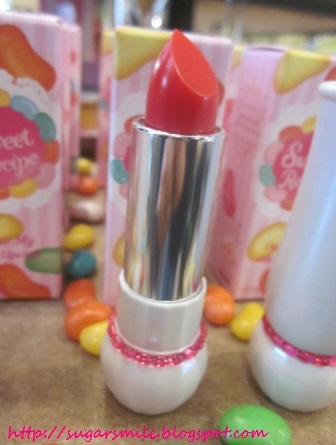 Dear My Jelly Lips-Talk is a lipstick fit for a princess. Its pink gems made it so cute and girly. They provide a moist shine and smells like jelly beans. Remember those cherry gum balls? I believe they could go hand in hand with these lippies. 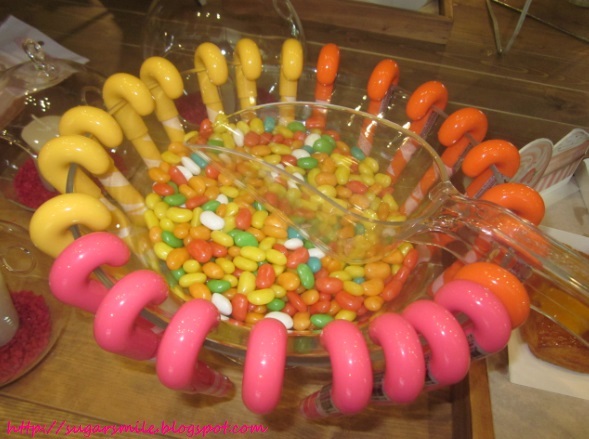 Nope, these are not candy canes! They are the Sweet Recipe Candy Stick. Made of Xylitol, they make your lips glossy while maintaining its candy sweetness. These are available in three colors. Do you want glittery nails? The Sweet Recipe Ice Cream Nails will make your hands look as if they're shining. They come in four pastel colors in a packaging of ice cream in a cone. Cute right? 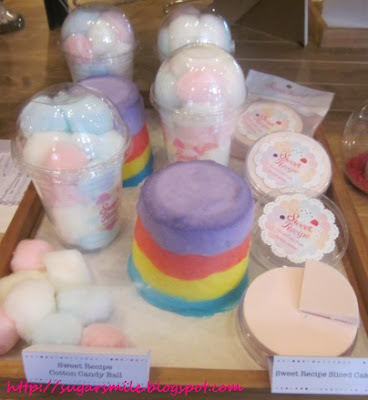 Last, but not the least, they also have cute things that you can use for applying your make up - the Sweet Recipe Cotton Candy Ball and the Sweet Recipe Sliced Cake Puffs. It may look like the real thing, but you can use them for application or skin care. But if I have the colored cotton balls, I would display it than actually use the product. But of course, if you want a little flair, these products are the best. So if you have lots of candies in your hands,you would probably play with them right? Etude House's Make-up Artist had a demo on how to use each and every product in the Sweet Recipe Collection. Her goal? To make her model look sweet and girly. After the make-up demonstration, Tous Les Jours showed us a cake demonstration. 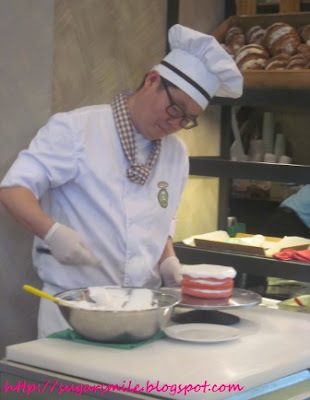 We were all in awe because it looks so easy to make when he's doing it. I also asked their pretty make-up artist if I could have our picture taken together. She quickly indulged to my request and she even held out the Dear My Jelly Lipstick for everyone to see. And you know why I love events? 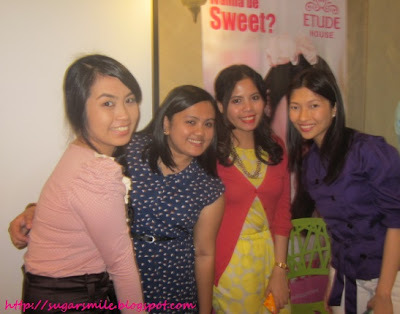 Its a chance to meet new friends and see blogger buddies! 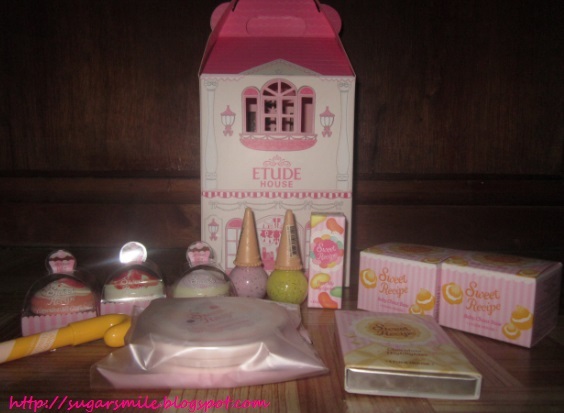 The Sweet Recipe Collection is out now at the nearest Etude House Philippine stores. This cute playhouse is a thing of beauty and I have to thank them for this. I also cannot wait to try all the stuff from the collection, so please watch out for my reviews. To know more about Sweet Recipe, you may Like their Facebook Page at https://www.facebook.com/etudehousephilippines. Let's all be sweet, pretty ladies!